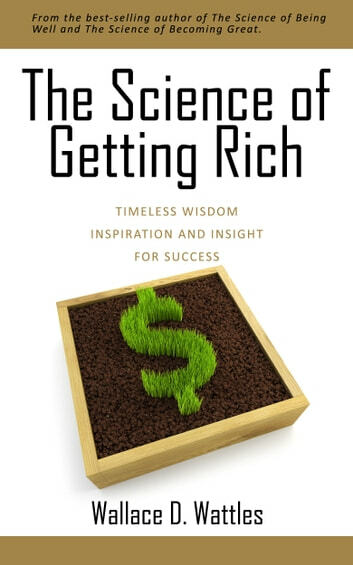 The Science of Getting Rich was written by Wallace D. Wattles and first published in 1910 by Elizabeth Towne Publishing, New York. It is full of timeless wisdom, inspiration and insight into becoming not only rich , but successful through positive thinking. Wattles truly believed that the best thing you as a person could do for the world was to make the most of yourself. And he believed that success could be achieved for all, and not at the expense of others. To quote Wallace, "Men get rich by doing things in a Certain Way; and in order to do so, men must become able to think in a certain way. A man's way of doing things is the direct result of the way he thinks about things. To do things in a way you want to do them, you will have to acquire the ability to think the way you want to think; this is the first step toward getting rich.” Wallace outlines all of the steps necessary to become rich in this book. While some of Wattles' ideas may seem unconventional or even controversial today, Wattles was convinced that his methods were absolutely necessary in order to become rich. Incredibly, the principles of Wattles' Science of Getting Rich are still as applicable today as they were when first published in 1910. 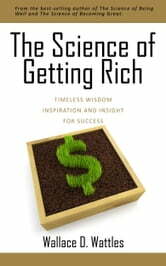 In fact, The Science of Getting Rich was a major inspiration for 2006 best-selling book, The Secret, which has sold more than 21 million copies and has been translated into 44 languages. Follow these practical, no-nonsense principles to success, and you too will become RICH! Practical sound advice that leaves you feeling positive and in the creative state. Very intiguing and easy read.